A real panel from the book that you will actually take seriously. Buckle up for a trip. With the yearly mega-event First Strike fast approaching, the book intended to bridge the gap between last year's Revolution and said event hits its sixth installment this week. Originally solicited for a May release, it looks like this series won't quite hit its ultimate eighth issue before First Strike, barring a rapid fire release schedule. After reading Revolutionaries 6, this is an acceptable scenario. Sure, it won't be fun to have plot details spoiled, or other things partially unexplained, but if the seventh and eighth issues of Revolutionaries are anywhere close to as good as this one is then no one's going to care about those other factors. While this is an ensemble book, and the ensemble does play around in this issue and do their monthly actioning and adventuring, make no mistake that this issue could also easily be titled Spotlight: Atomic Man. This shouldn't make you turn away if you're a fan of Transformers that doesn't like fun peanut butter in your chocolate. On the contrary, if you fit those qualifications (and even if you don't), Officer Reeses yourself down to the comic shop or over to your digital platform of choice and read this now. The Saturday morning cartoon fun is interlaced by a gripping story of a boy that becomes a hero that becomes a man that becomes lost. In one issue, Atomic Man goes from "one of those Adventure Team guys in the flashbacks in that Revolushunries book" to a fully defined character, and it's hard to put this one down halfway. "How would G.I. Joe fancy a team-up with M.A.S.K.?" Matt Trakker and Gloria Baker make the Hasbro Universe "Total Brand Awareness" roster for this one, and they serve their purpose well. 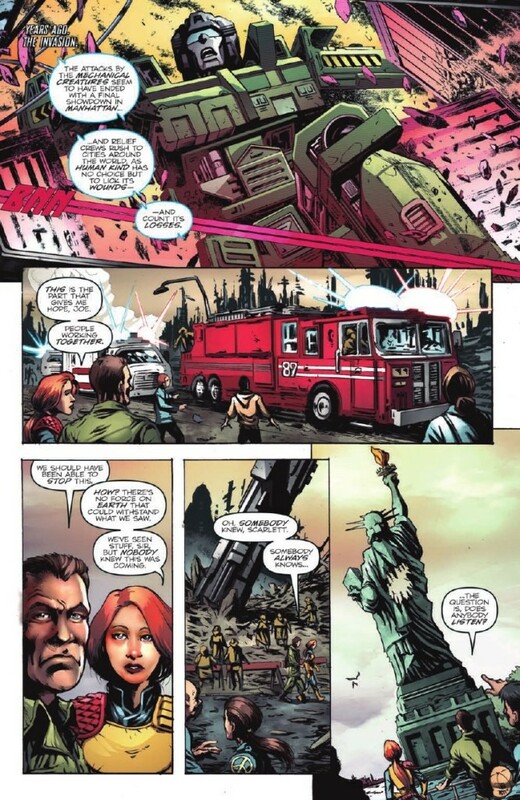 Author John Barber shows his chops in making sure things fit together through them, at least in a small degree, by nailing the dynamic that's been built between the two characters in the actual M.A.S.K. series. Add in some interactions between them, Mayday, and Stalker, and you have a nice bit of crossover that helps smooth over the wider narrative of the universe while it's at it. Seriously though Shark has one purpose and that's it. 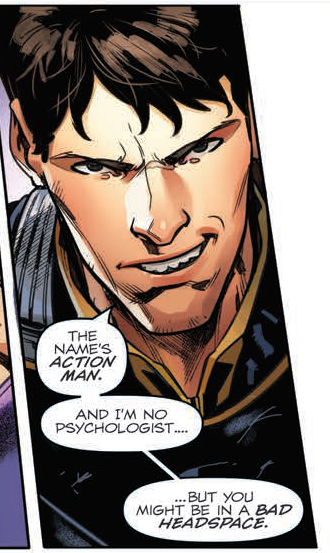 They really are just there for fun and to move things along, at least on a high level, because outside of Atomic Man another character absolutely shines in this one, and that's Action Man. Ian Noble continues to be treated more like 007 than A Real American Hero (Imported By Palitoy) and here, it really works. 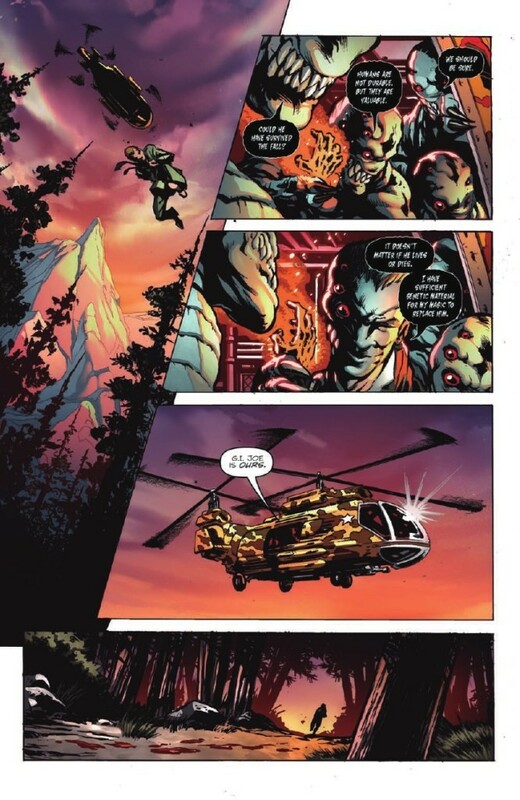 Through a clever twist in one of the Agnes Garbowska drawn "Mikey Powers" scenes, Action Man serves as a linchpin to the issue's plot that takes place through the non-flashback sequences featuring the art and colors of series regulars Fico Ossio and Sebastian Cheng, respectively. There are four covers available for this one, including the primary cover by Robert Atkins with colors by Simon Gough that's shown in the thumbnail for this review. As always, you can find the full list of covers, credits, and characters that appear in this issue in our Vector Sigma Database Entry for Revolutionaries #6. 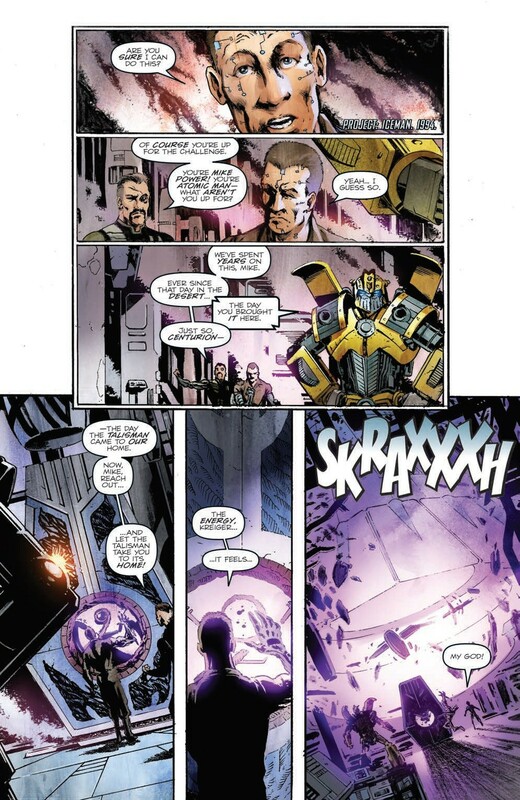 I kind of want to check in on John Barber and make sure he's ok, given the dark and almost brutally melancholic nature of this issue and Optimus Prime #9. However, I also kind of don't because he's on an absolute roll and there'd be fear of disrupting his mojo. Mr. Barber continues here with telling gripping, meaningful stories in this Hasbro Universe that take what could be meaningless monthly serial beats and elevate them through genuine emotion. If pressed, one could definitely find parallels between the "Life of Sideswipe" and the life of Atomic Man presented here which is just incredible. Seibertron's staff of comic book reviewers has been giving out a great deal of very high scores lately, and I promise you we aren't turning into IGN - the output of the past several weeks has just been that darn good. Pick this one up even if you haven't given Revolutionaries a shot, but be prepared to feel feelings. This might make for my favorite issue of Revolutionaries yet. I love the mixed media approach, I'm always a sucker for the Adventure Team, and Mike Power's story was very sad. Though, given certain solicitations, I have to wonder if there's more to his story than meets the atomic eye. If I had one criticism, it's that MASK really did feel like they had no real reason to be here other than "we needed to put them in somewhere." Still, I much prefer Barber's writing on the MASK team compared to Easton. And of course, I loved getting to see more of the Hearts of Steel/Eukarian Transformers doing stuff, even if they were only puppets. Perhaps there's a chance they could come back in the future? I do kinda hope we get more HoS Transformers somewhere down the line. It'd be disappointing to bring it into the universe and only use one of them. 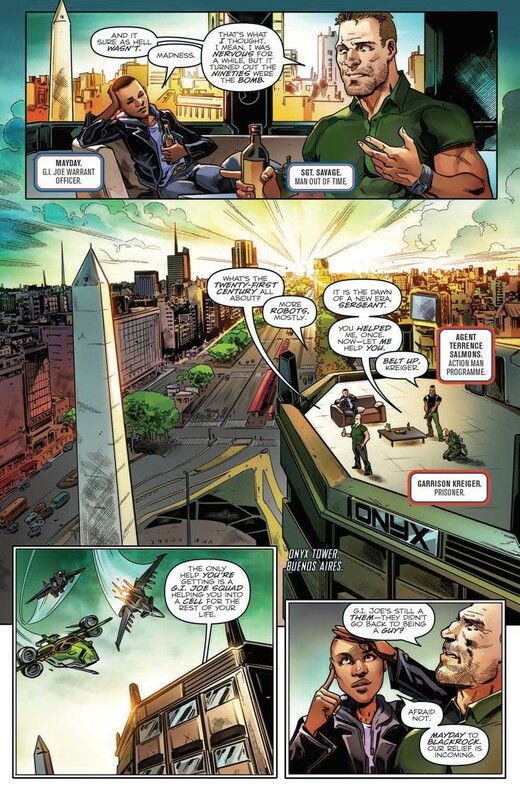 Multiversity Comics has the full preview of Revolutionaries #7 up. This is the penultimate issue of the series, featuring Sgt. Savage (from G.I. Joe's Sgt. Savage and His Screaming Eagles line) as the guest star. It also features more Centurion and the Adventure Team. Which means this issue is going to be awesome. As first seen on Multiversity Comics and as pointed out by Seibertron.com Energon Pub Forum user Daniel Adkins, the five page preview for Revolutionaries #7 is now available. 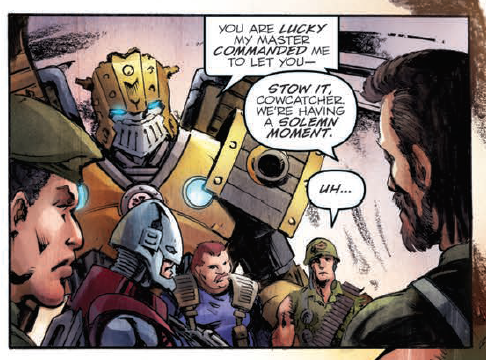 Kup, Centurion, Action Man, Blackrock, Mayday, and Sgt. 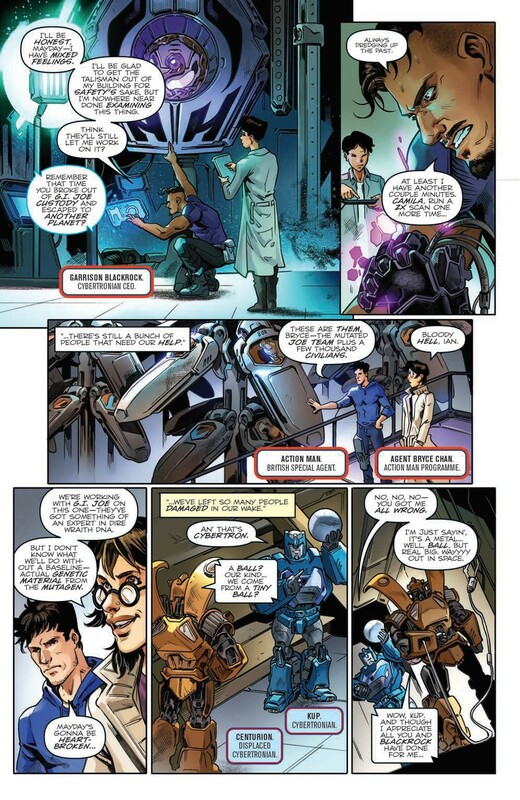 Savage feature in this next chapter of the series keeping the Hasbro Universe glued together, and while delays have kept this from being released before First Strike as intended, the preview pages below may help you decide whether to give this a shot this upcoming Wednesday, August 16th when the issue hits the shelves. Idk if I'll have time for this post in the morning, so typing it now. Super minor Revolutionaries 7 spoilers from here on! 1. "Action Man" who I take to not be Ian's predecessor, Agent Brogan, but instead, Alex Mann from the Action Man Xtreme cartoon. Could still be Brogan but I figured they'd have name dropped him if it were. 2. Natalie Poole, a Team Xtreme member from that same cartoon. 3. Zartan in his appearance from the GI Joe Ninja Froce toyline. 4. Toxo-Zombie from the GI Joe Eco Warriors toyline. Blast from Kaybee clearance aisles past! 5. Cesspool from the same toyline. This issue was totally tubular! I mean, seriously dog, this was bodacious. 90s Action Man (who is totally Alex Mann) and Sgt. Savage drawn in such extreme art. It was totally dope. But man, I thought Centurion was my homeskillet, but him still working for the bad guy? That's whack! It's a major bummer that twist got jacked, cause the foreshadowing was slamming! But hey, I'm not tripping. 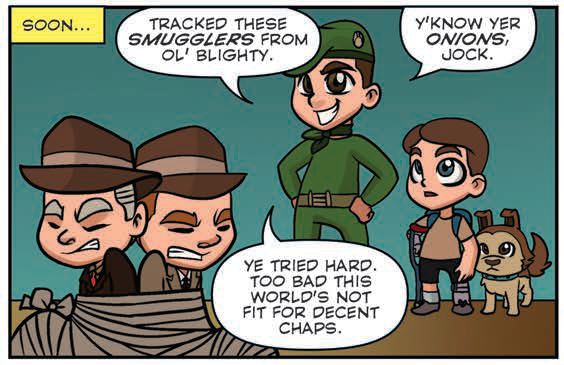 Point is, this issue was totally dank! Like the last issue, I feel this one was a bit of a mess and all-over-the-place hence making it weaker than the first 5 issues of Revolutionaries; but I still enjoyed it. Sgt. Slaughter in particular I really liked and would love to see join the Revolutionaries' main team. Kurona wrote: Like the last issue, I feel this one was a bit of a mess and all-over-the-place hence making it weaker than the first 5 issues of Revolutionaries; but I still enjoyed it. Sgt. Slaughter in particular I really liked and would love to see join the Revolutionaries' main team. Bleh, keep mixing Joe names up. Either way, I like him! This issue continues the adventures of, well, GI JOE’s former Adventure Team (Force) members and the current REVOLUTIONARY team members as they work to uncover the secrets of the ‘talisman’ and Project: Iceman. They’re nearing the finish and as you can expect, the action, intrigue, and various threads are starting to be pulled together for the series culmination next issue! It's really not as bad as all that. 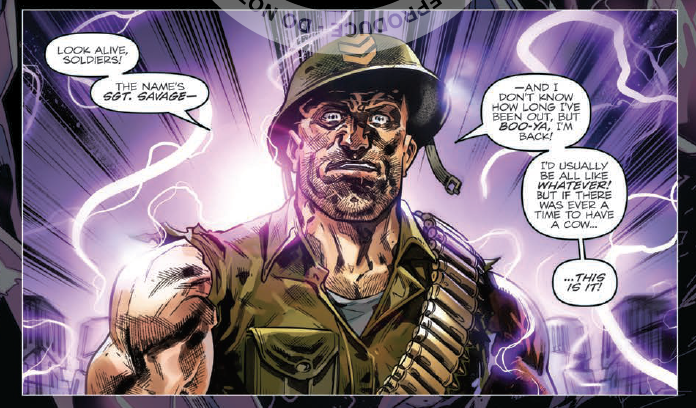 Largely focused on what happened to Sergeant Savage when he took his jaunts through time thanks to the talisman energy, the Axalon, and the notorious scheming of former ally Krieger; this issue begins the end for the series. 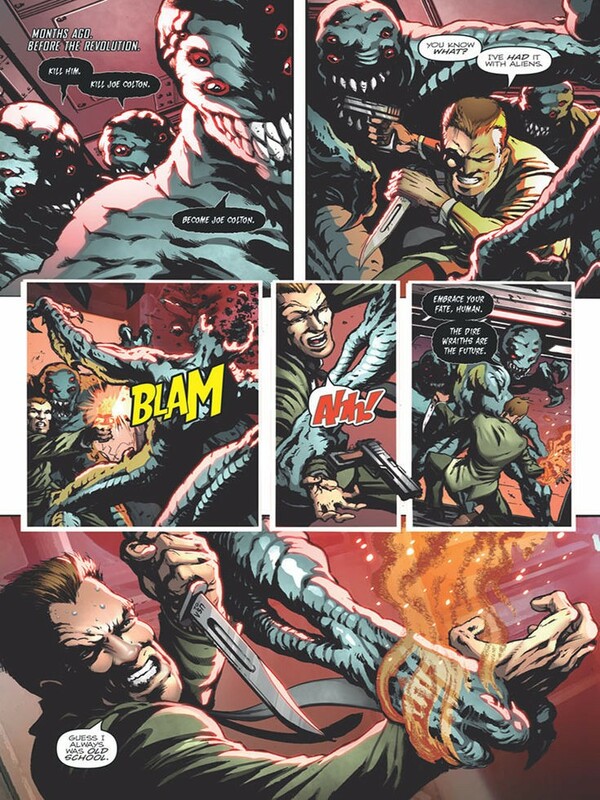 Savage becomes a person from the 40’s fighting in WWII, to living in the 90’s fighting ninjas and totally picking up on the language and catch phrases of that radical time, to now; all the while upholding his ideals and determination as his story (and the story of the Axalon/Krieger/the talisman) further unravels. I am here to ki..save you my ene...friend! 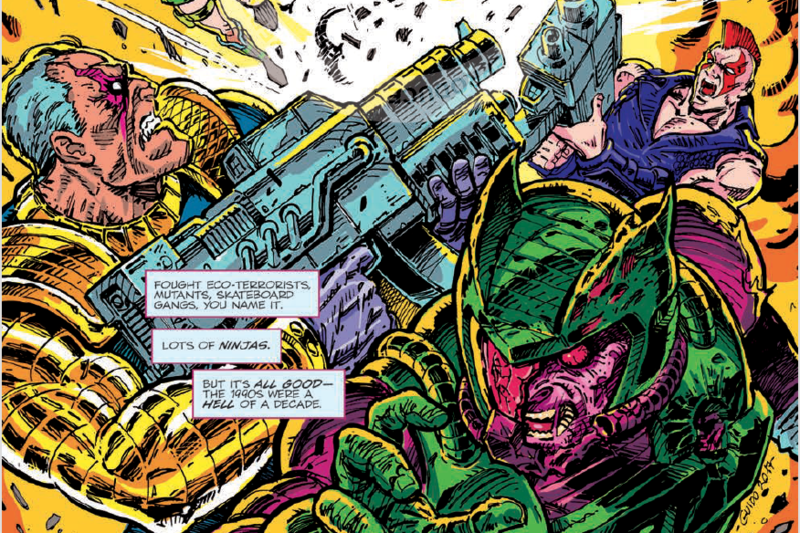 The art is acceptable to awesome in this issue. Revolutionaries’ art has been down right good for the most part, I know I criticized Fico Ossio’s art during Revolution, but I think he’s growing in ability, and had some help from comrades like Guido Guidi and Ron Joseph to take some of the load (or maybe I’ve just become accustomed to the style and nuances). Add in a page of guest work by one my favorite artists, Guido Guidi, who draws and colors an action page straight out of the 90’s for good ol’ history hopping Sgt. Savage and some notable 90’s cobra baddies! 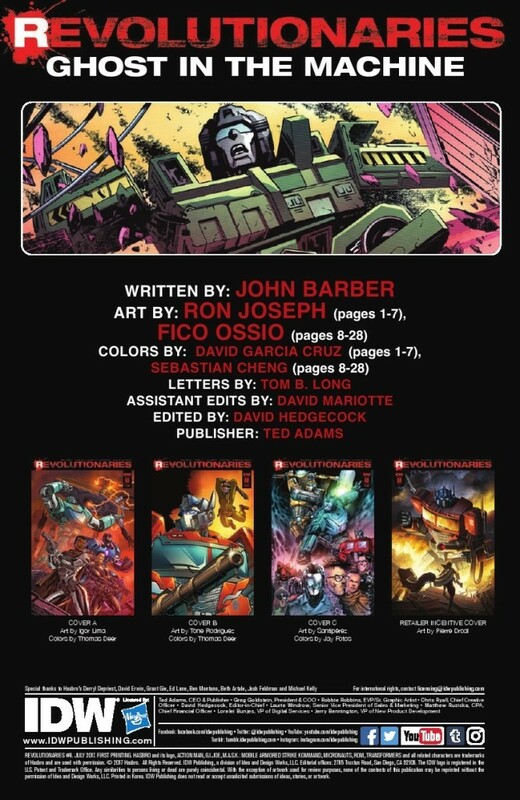 Mr. Guidi had already practiced this style via his previous Revolution #5 cover where he drew deep inspiration from the Generation 2 Transformers comic to create his beautiful 90’s style incentive cover. 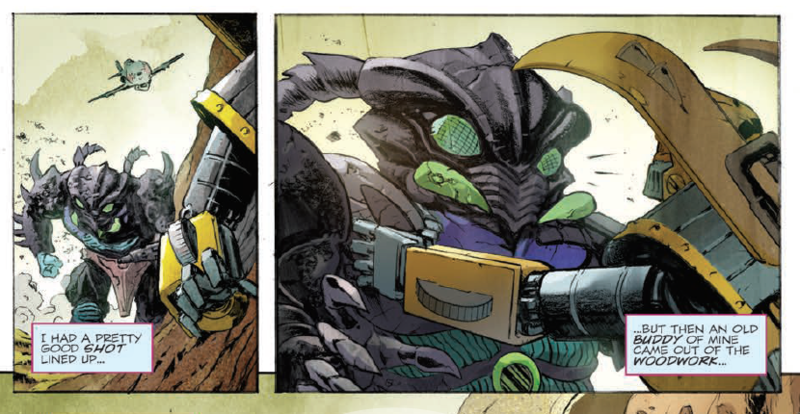 The coloring work by Sebastian Cheng on the other 21 pages is excellent helping to give a grainier dull, less focused feel to events happening in the past, and straight up being bright, colorful and sharp for the events happening in the present. No issue would be complete without Tom B. Long’s action-intensifying Skraxxxh, Pow, and Wooms! 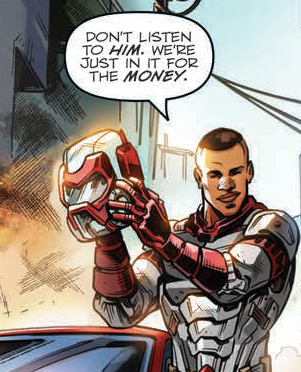 I’m going to be honest, I went and re-read all the previous issues of REVOLUTIONARIES to fully grasp everything going on in this issue and start to put it all together. Upon my first read of this issue, keeping the characters, and the jaunts through time straight was difficult even with the visual support. Going back and re-reading helped me to focus in on understanding how events lead up to the point of issue #7, and to better understand all of its cool history building. There are a lot of characters, locations, and events to keep track of and it can seem like a whirlwind of confusing events, if not read carefully. 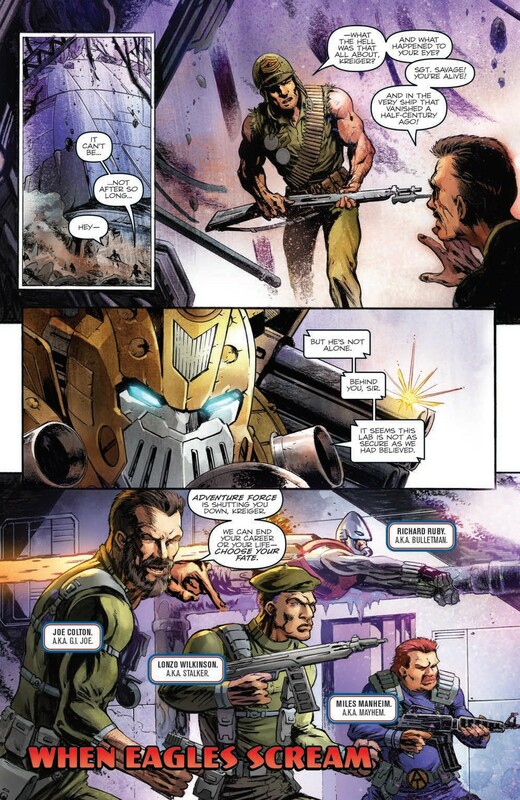 But reading carefully, yields a deep story and creatively written unraveling of another piece of Hasbro-verse history. New characters like Action-man, Mayday, Krieger, and Sgt. Savage are being fleshed out to a level where they are becoming enjoyable to read and solid in who they are. 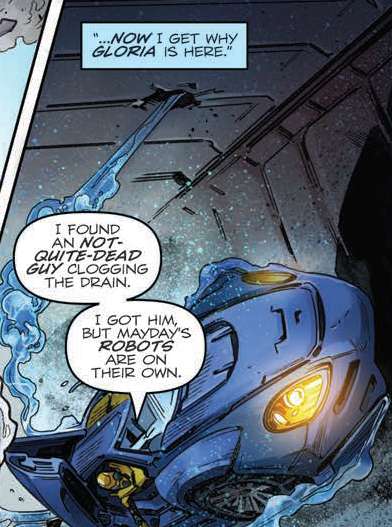 Even Blackrock, for TF fans is becoming less annoying to me, although the seemingly misguided Centurion still needs to grow on me more. 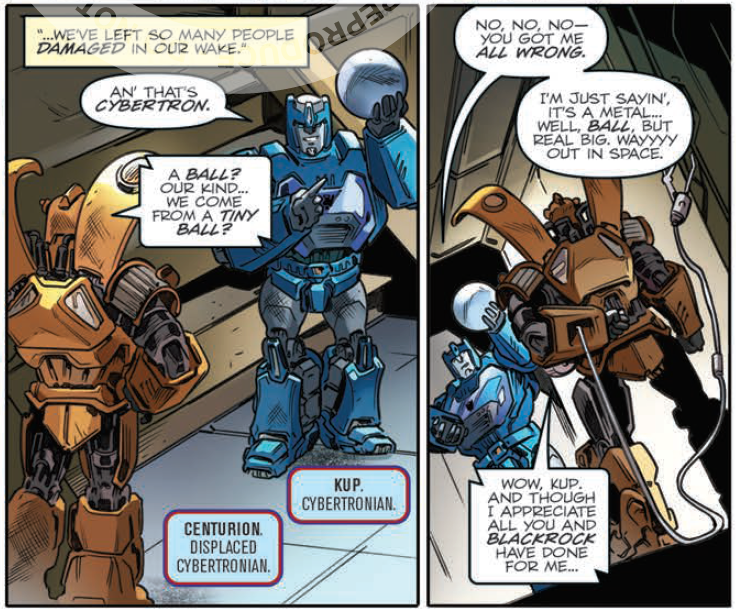 Kup’s portrayal has always been fun, and welcomed in the series as a bit of a known commodity, but his interaction with the others has really started to grow him more as well. This series and this issue in particular, was a deciding factor in me taking the digital plunge into the latest HumbleBundle by IDW and Hasbro with a ton of GI JOE IDW Collections, and TRANSFORMERS too, it seemed the perfect fit to help me revisit the material that led up to where Revolutionaries, First Strike, and the whole Hasbro-universe is at and gives me another excuse to donate toward a worthy cause. I ain't no trained teach, but visual aids is 'portant in learnin'. 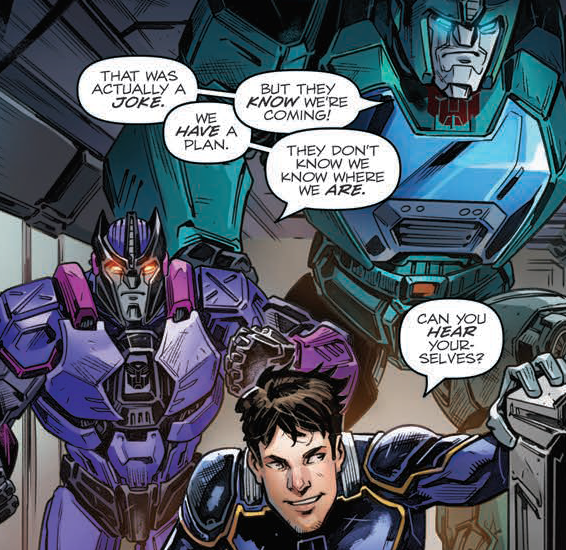 It is, however, unfortunate that due to some glitch in IDW’s scheduling, we already have some idea of where this issue, and the next are headed, due to First Strike #1 being already available, and the big surprise in this issue of REVOLUTIONARIES was, well, already revealed in said First Strike issue— there might be other clues to the finale based on characters that appear (and those who are missing)-. We understand, not everything is controllable. Overall, a more than satisfying read that leads to the final issue of the series. Events are coming together well, the unfortunate big non-reveal (which would have been so much more of a ‘Whoa!’ moment), with the ever enjoyable Kup running at the mouth, and the fleshing out of Sgt. Savage (- I def read Sgt. Savage with Hound’s/John Goodman’s voice-), an interesting TF cameo or two, and tracks to TF issues far past. 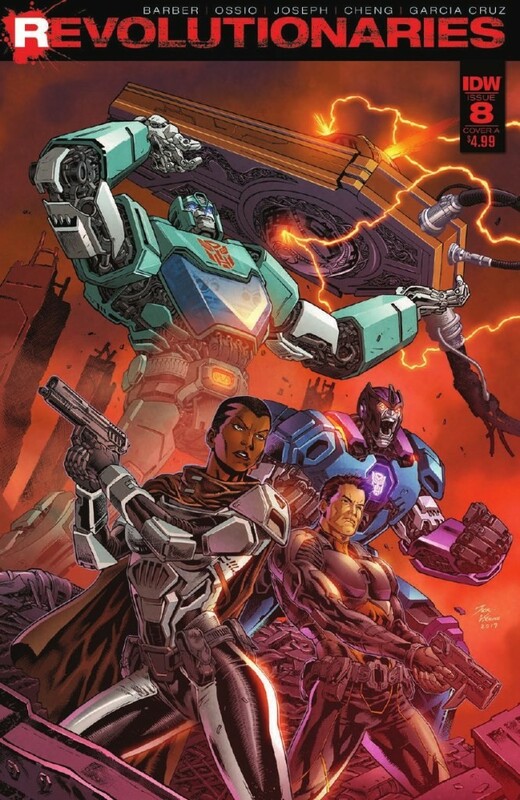 I think this is a solid issue leading up to the series encore with an above average level of interest for TF fiction fans to read. 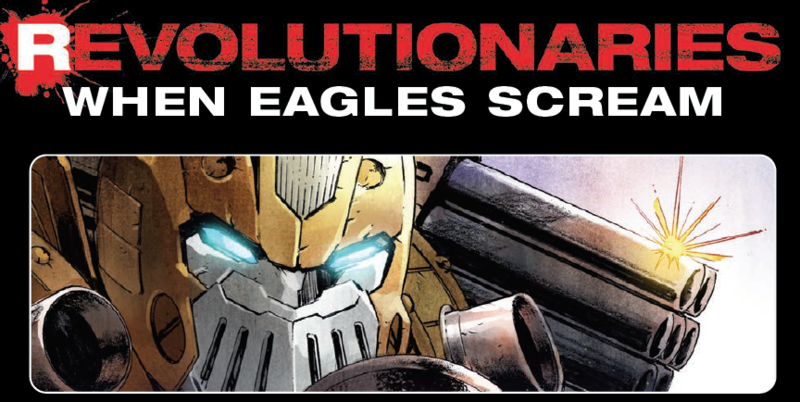 Hot on the heels of the previous preview, we have another Transformers related title, scheduled to be released on September 27th, the final issue of Revolutionaries! After last issue (which arrived a touch late) and the big reveal it contained, what will the final issue hold? 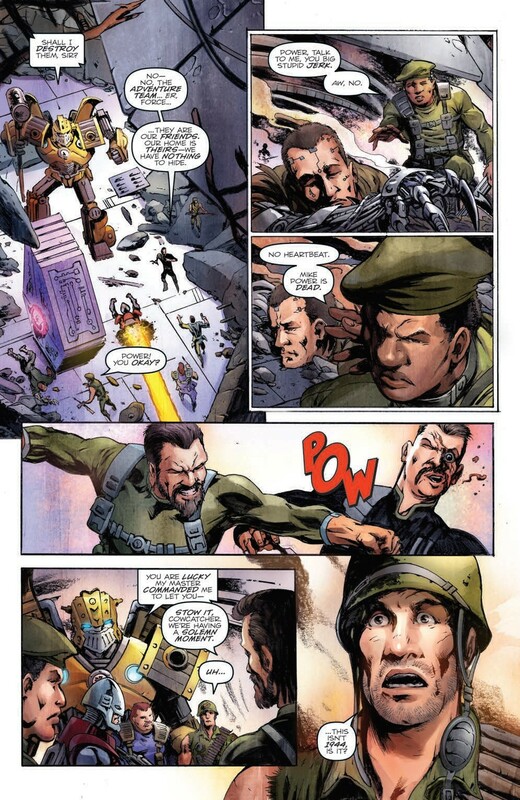 OPTIMUS PRIME VS. BARON IRONBLOOD! 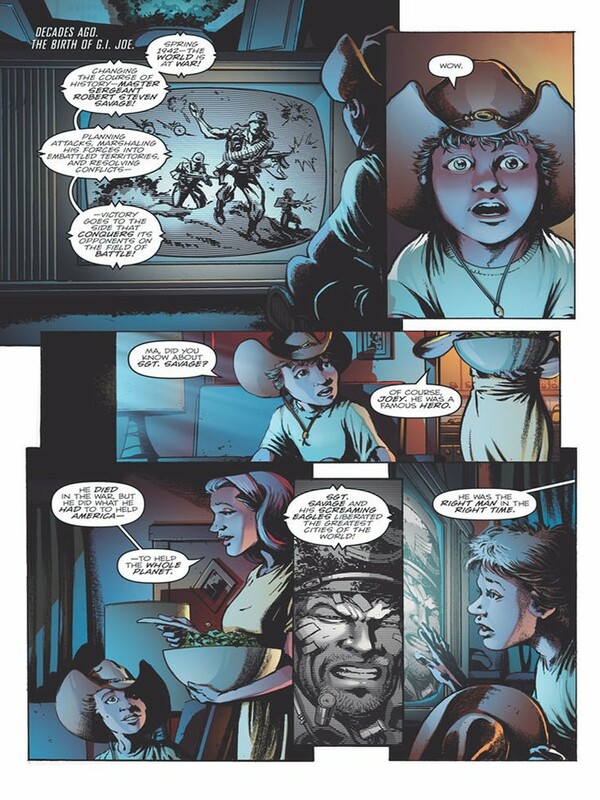 The final mystery is revealed as Baron Ironblood reveals his true identity! 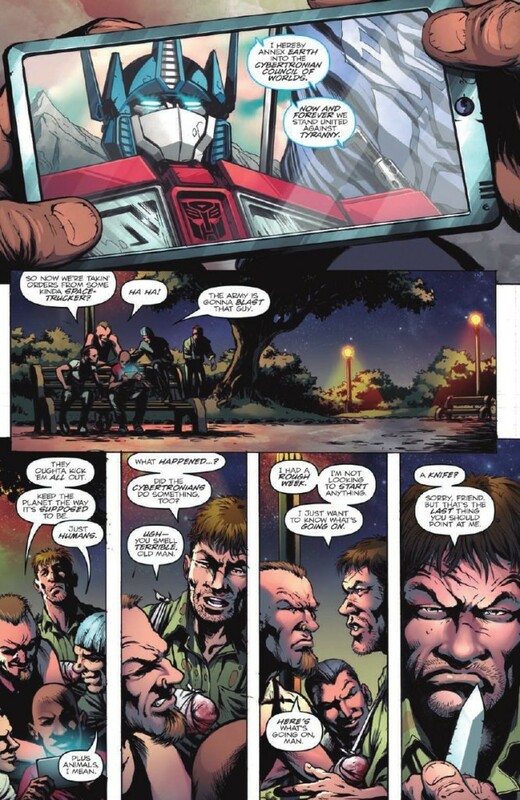 Only by teaming with Transformers leader Optimus Prime do the Revolutionaries have a chance to save Earth—and the whole Hasbro universe! The senses-shattering conclusion to Revolutionaries leads directly into next month's massive crossover event! Thanks to Comic Crusaders, we have the full preview for IDW's Revolutionaries #8! This is the final installment of the Revolutionaries series, and features the final pieces of the puzzle necessary to fully understand First Strike. Check out the preview below, and let us know what you think in the comments section below! Fun fact: this book is not actually out this week, according to IDW. 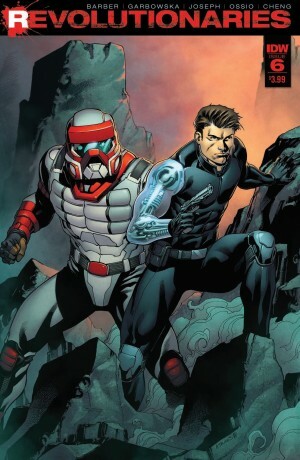 Which means a July book with a plot reveal for First Strike will be coming out the same month as the final issue of the mini-series it introduces. Va'al wrote: Fun fact: this book is not actually out this week, according to IDW. What you talkin bout, Va'al? I just read the thing on Comixology. We weren't given it digitally! Has anyone had any luck in print format? I got a hardcopy at my lcs yesterday. It’s a fitting final issue (physically) to the best thing to come out of the combined hasboroverse. Yep, I have emailed IDW. It wasn't even listed in their official solicits for the week. Odd. Just read my paper copy. What a criminally underrated series, especially the second half. Definitely shows the potential of this universe to do something great. Also, at last, a Titan Master does something befitting the name! 4,630 pages were recently viewed by 1,025 unique visitors. This page was viewed 1 times on Sunday, April 21st 2019 3:31pm CDT. © 2019 Seibertron, Inc. DBA Seibertron.com. All Rights Reserved. Established June 2000. Seibertron.com is owned by Ryan Yzquierdo.